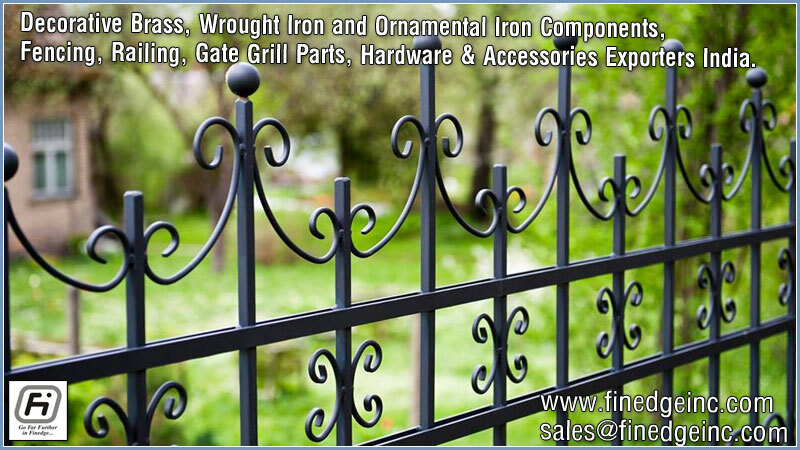 Decorative Brass & Wrought Iron and Ornamental Iron Components, Fencing Parts, Railing Components, MS Gate Grill Parts, Hardware & Accessories. 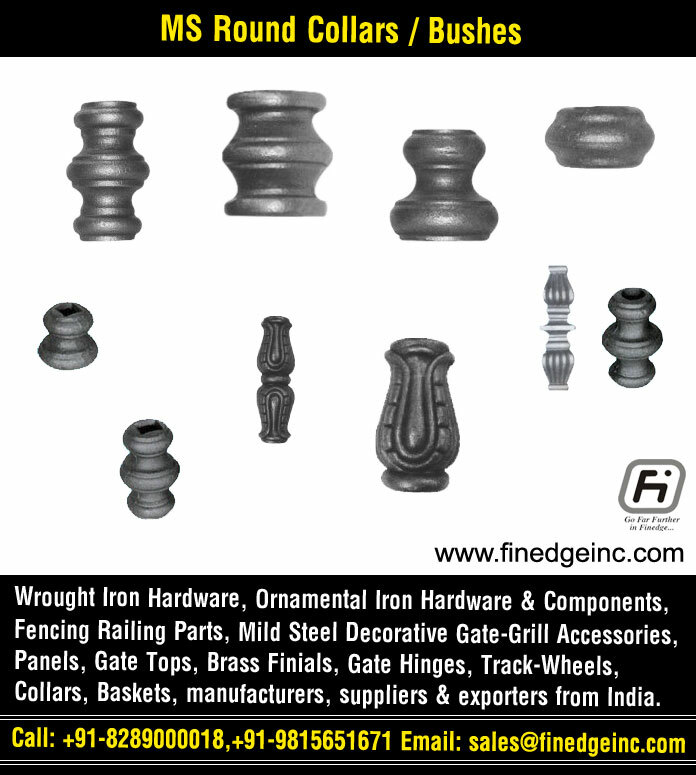 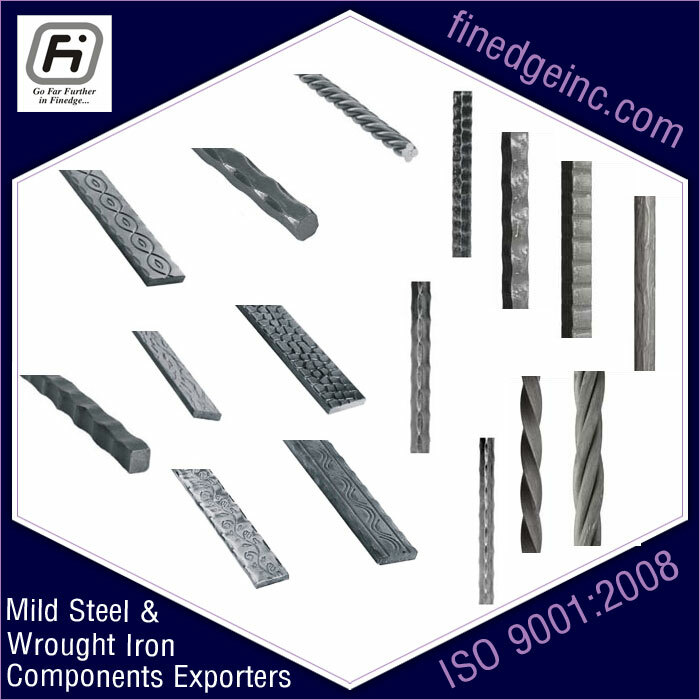 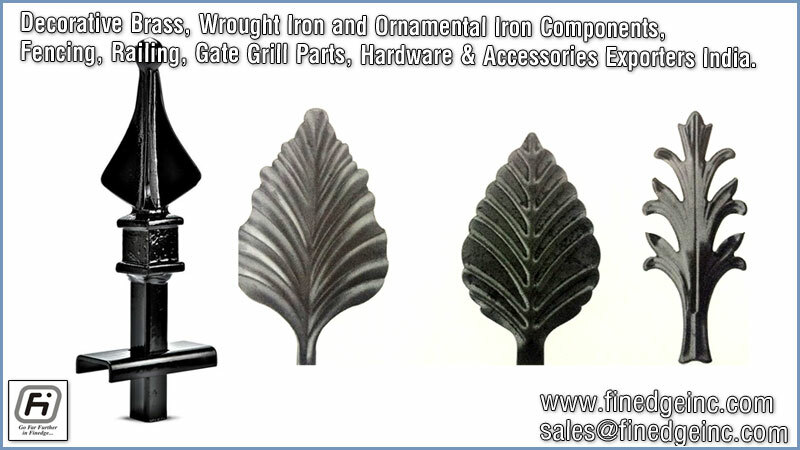 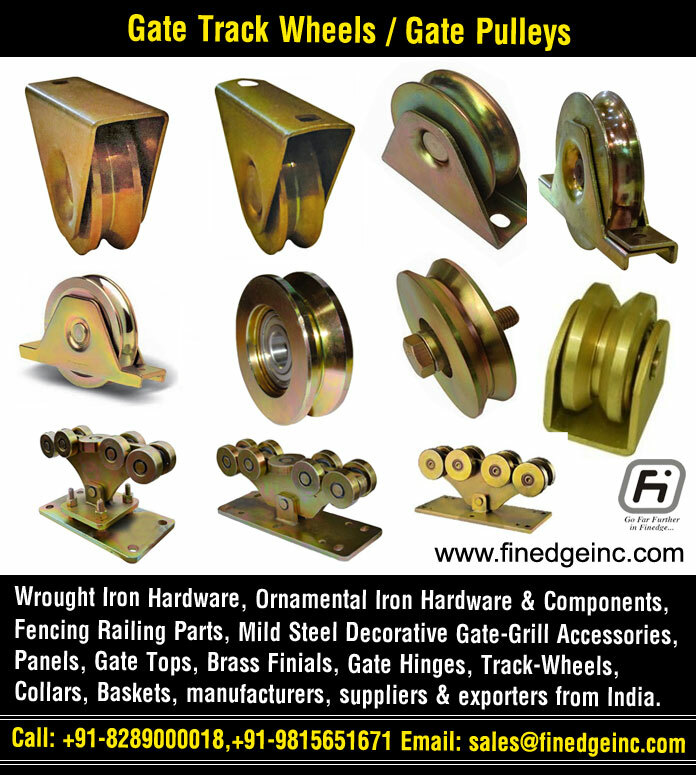 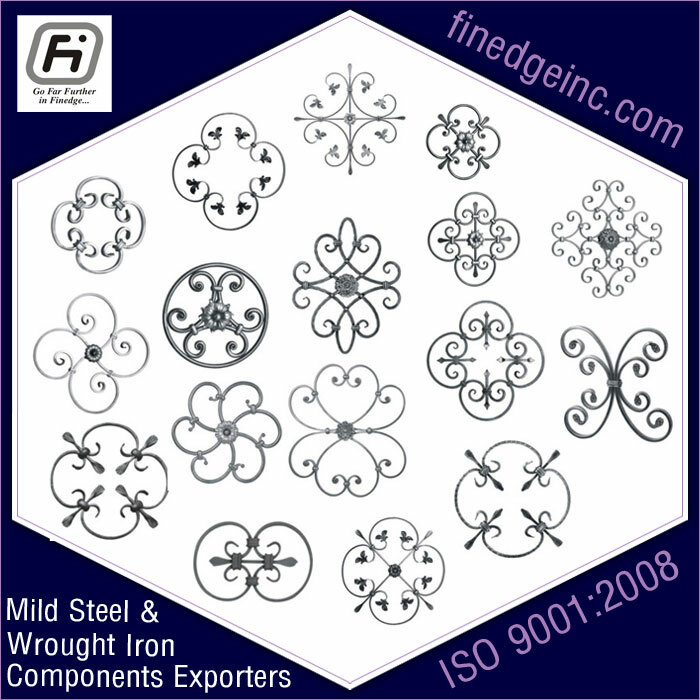 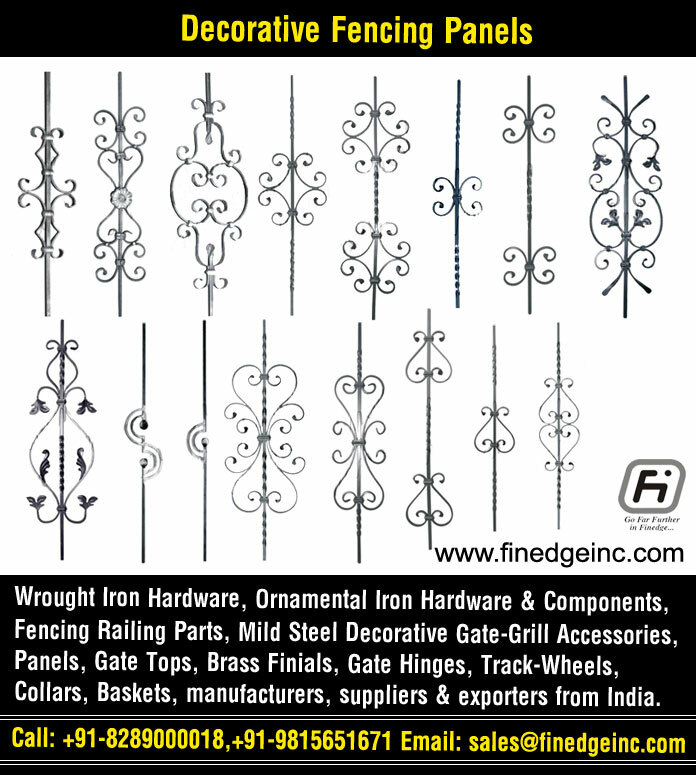 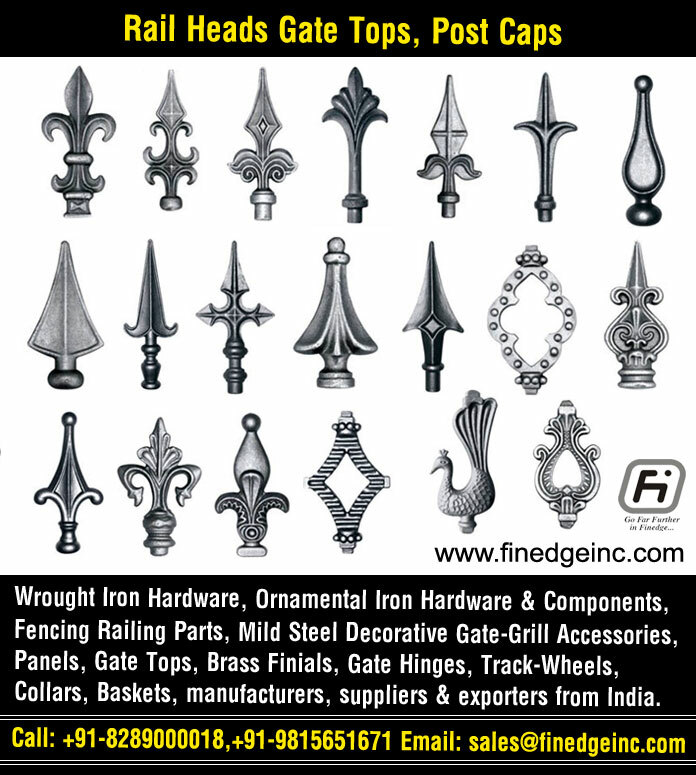 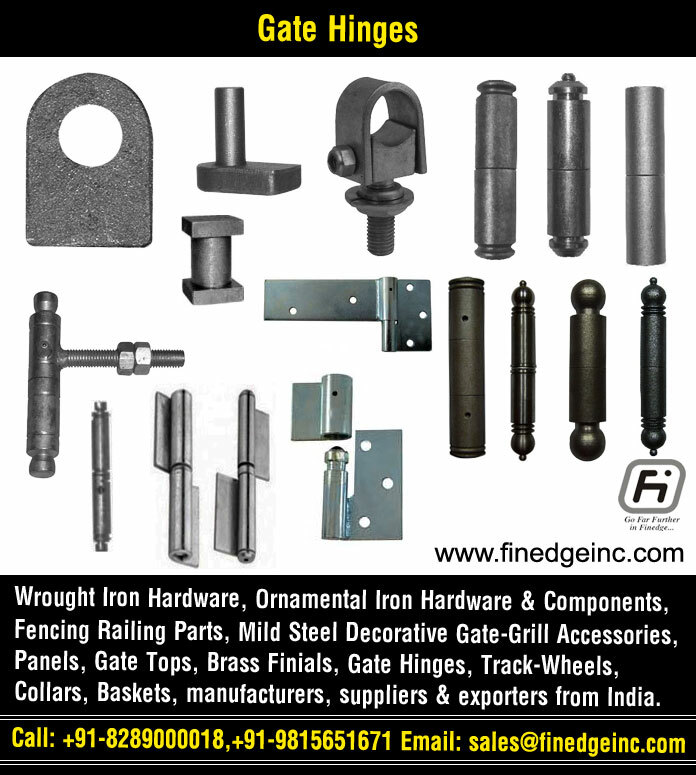 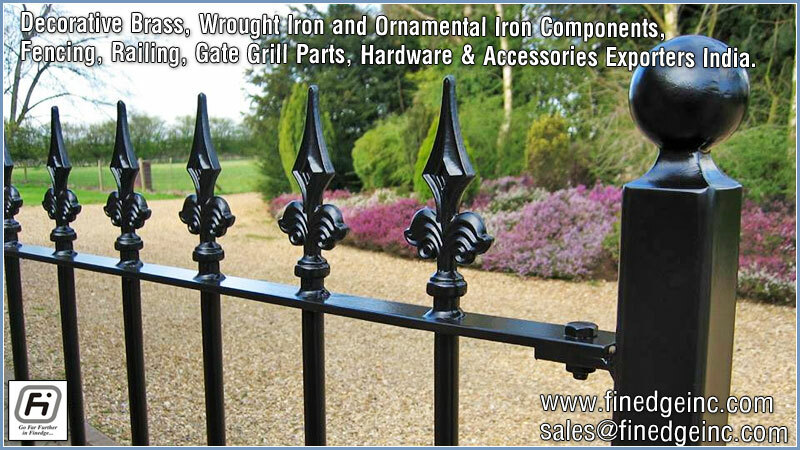 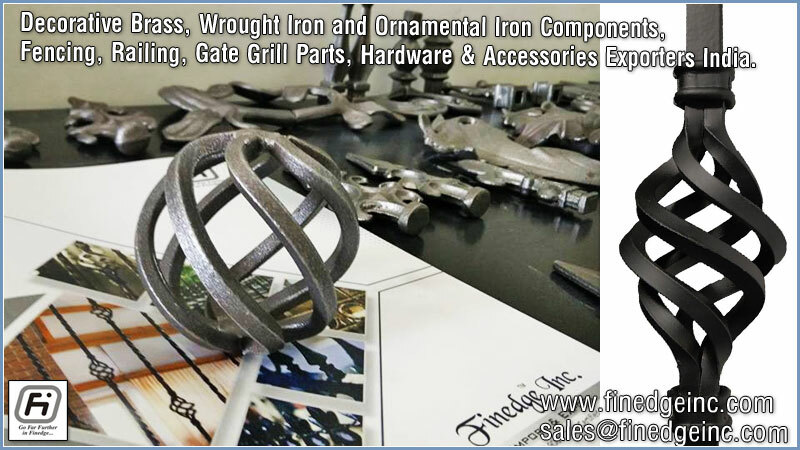 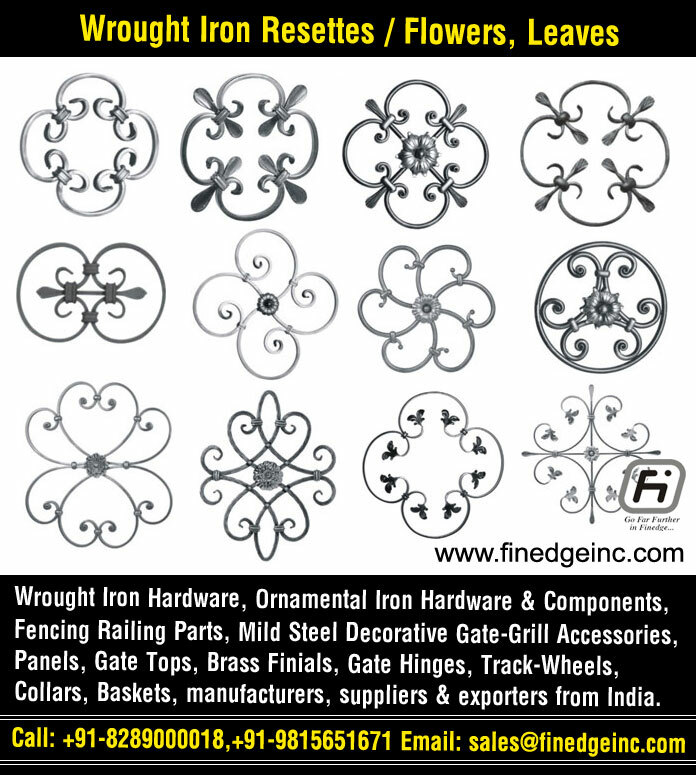 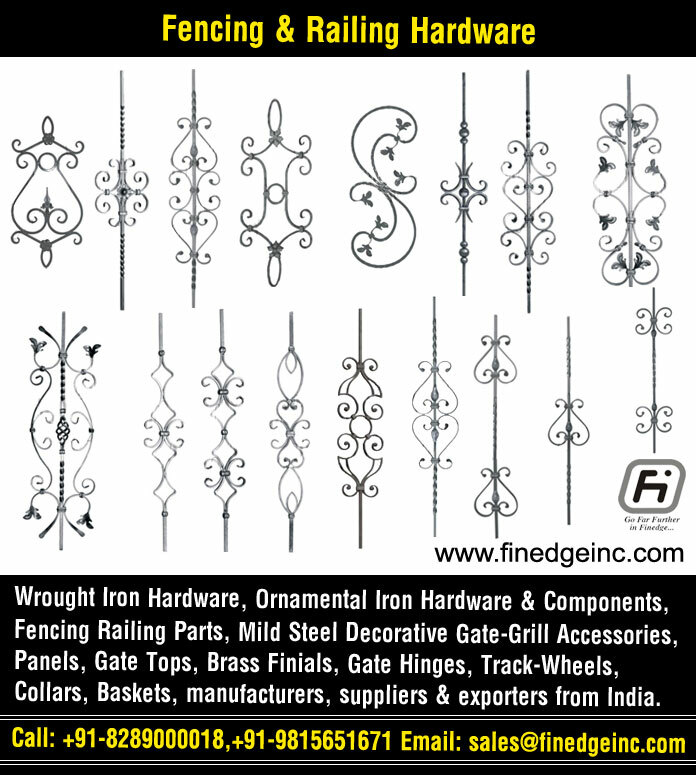 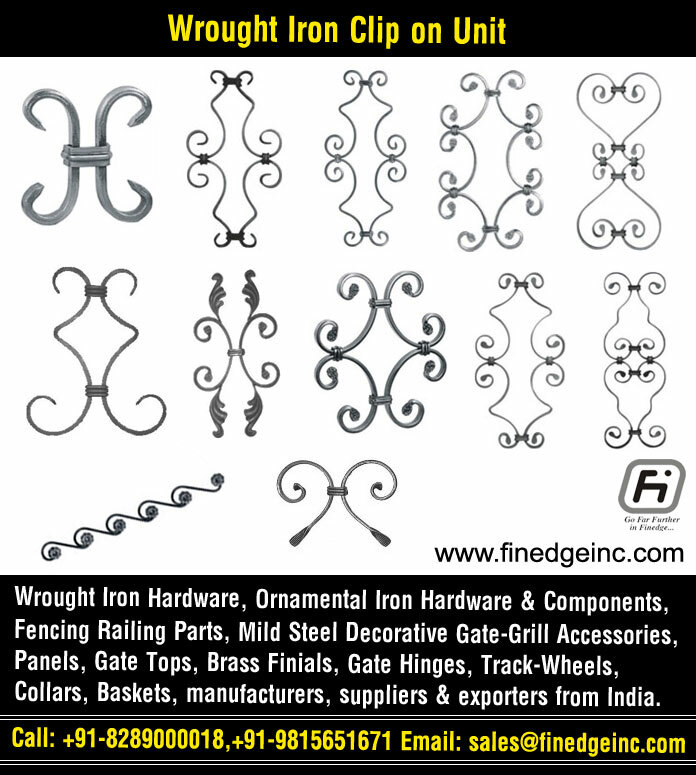 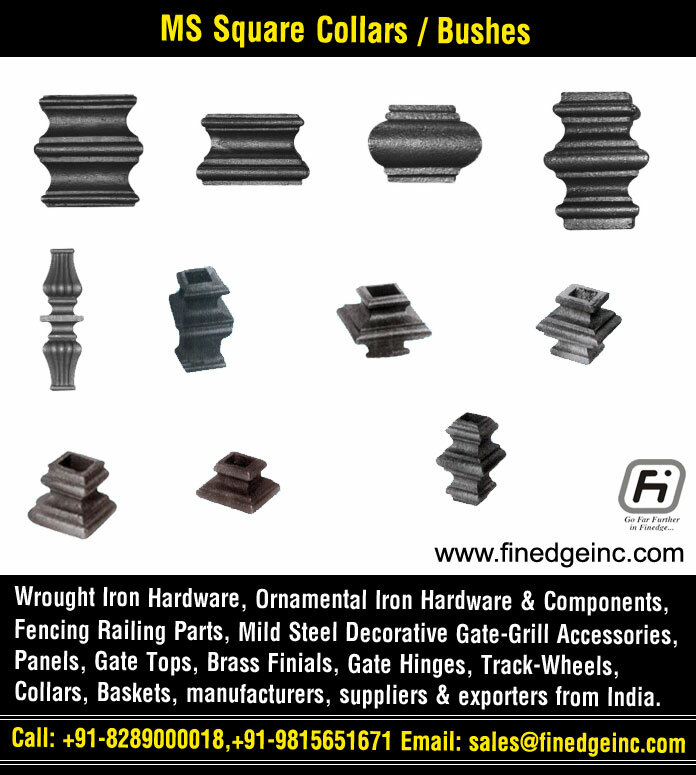 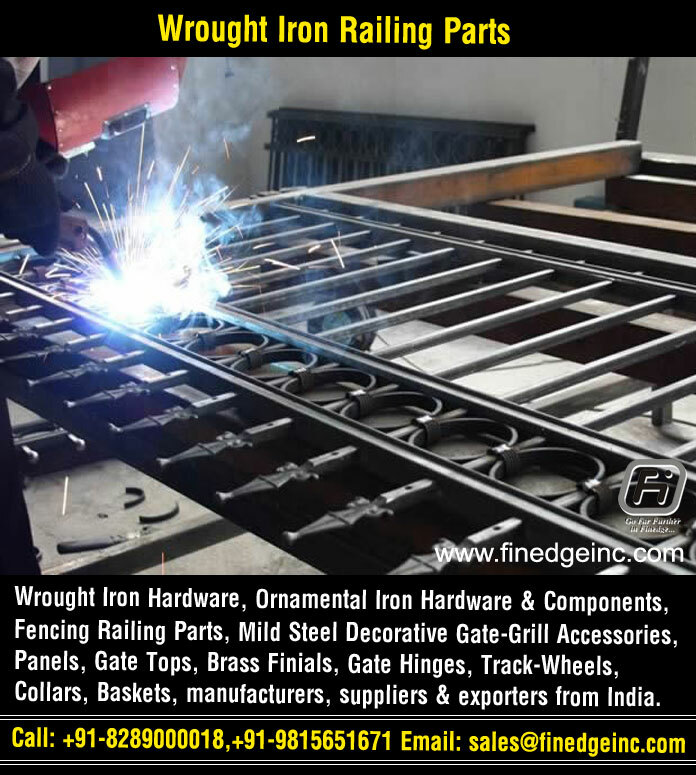 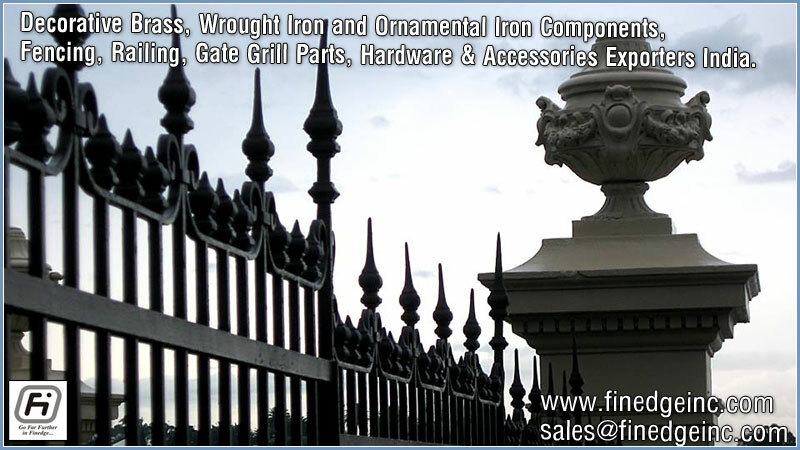 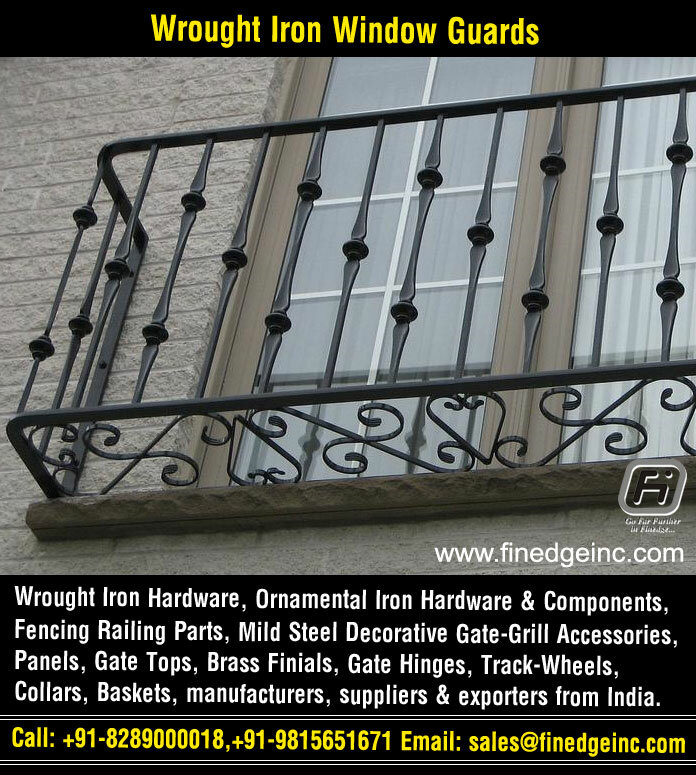 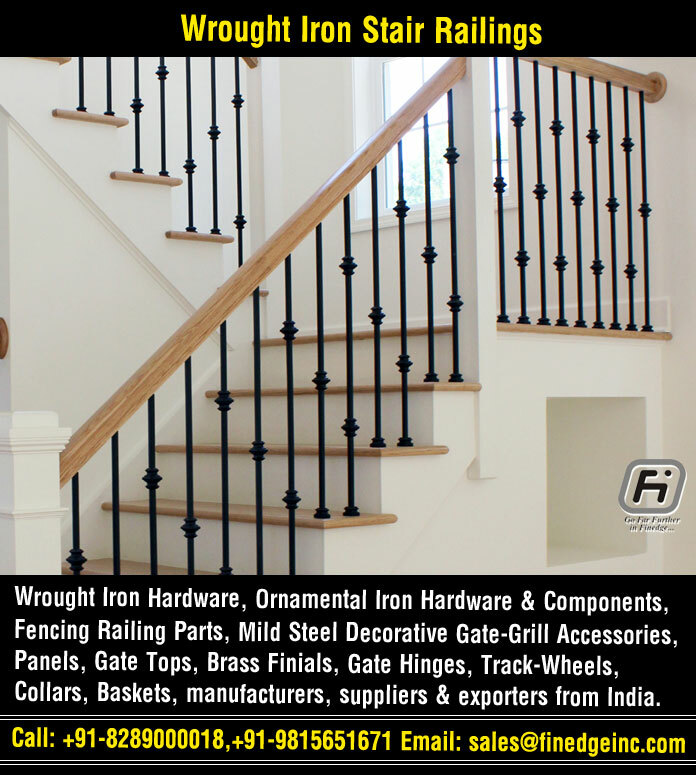 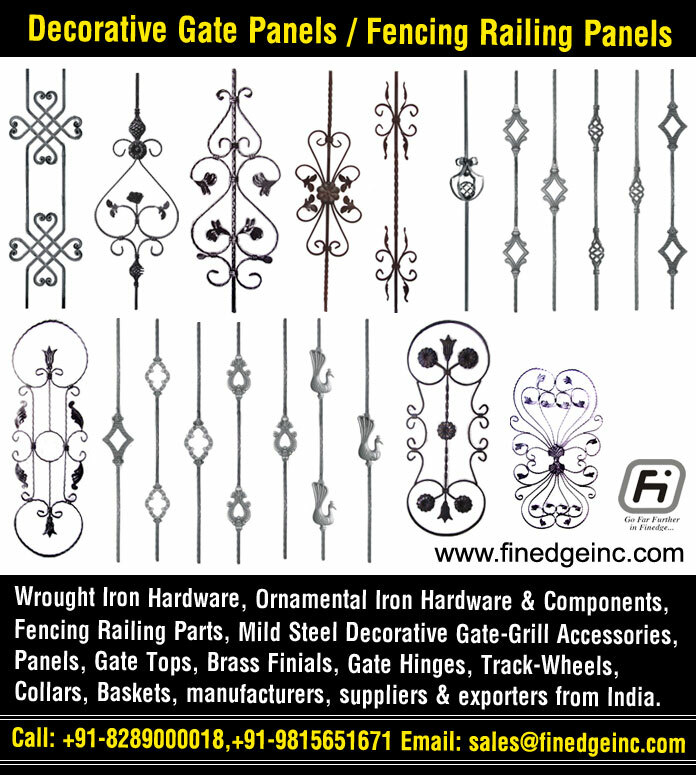 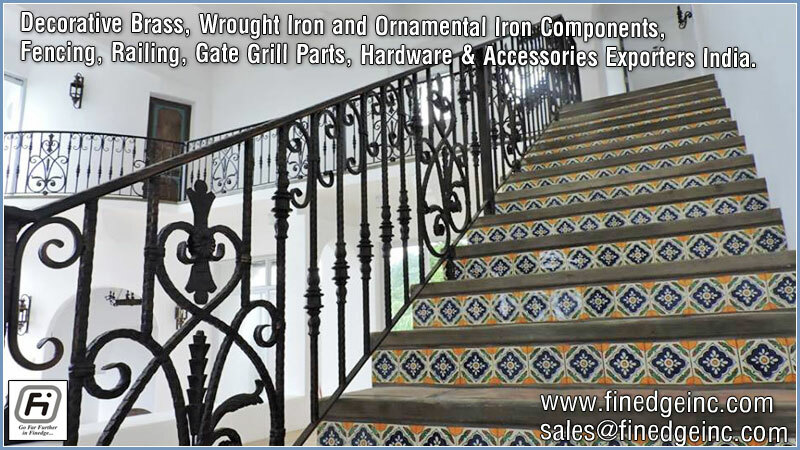 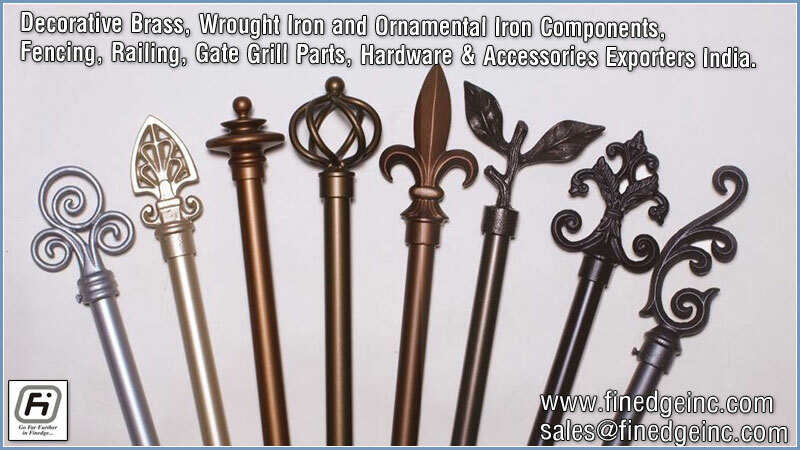 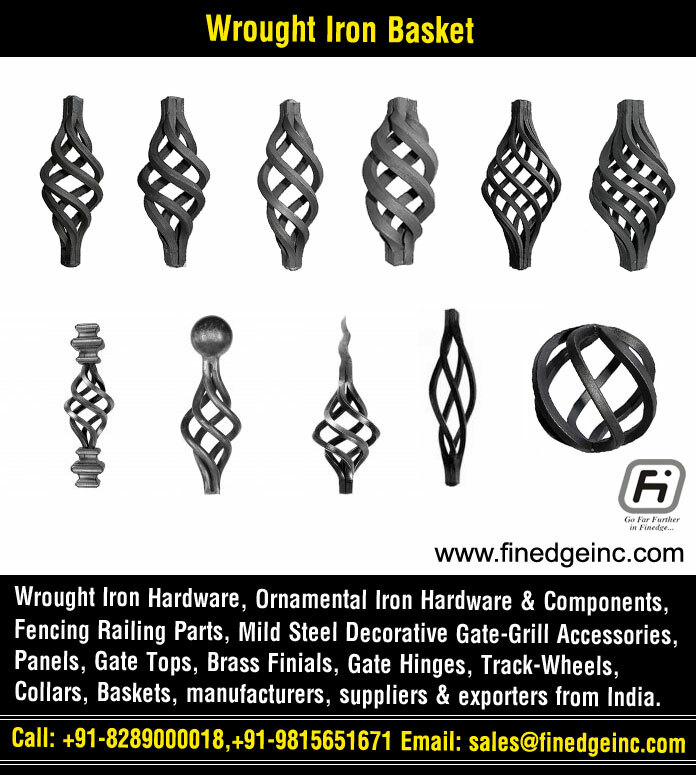 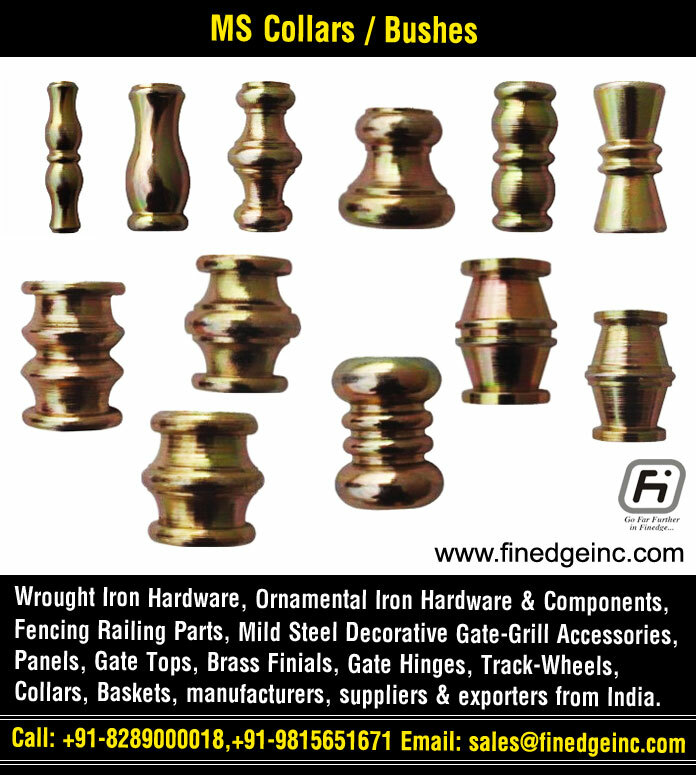 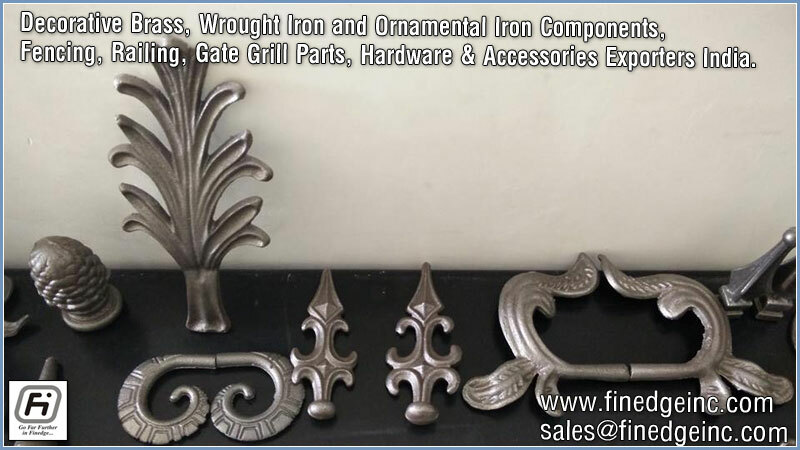 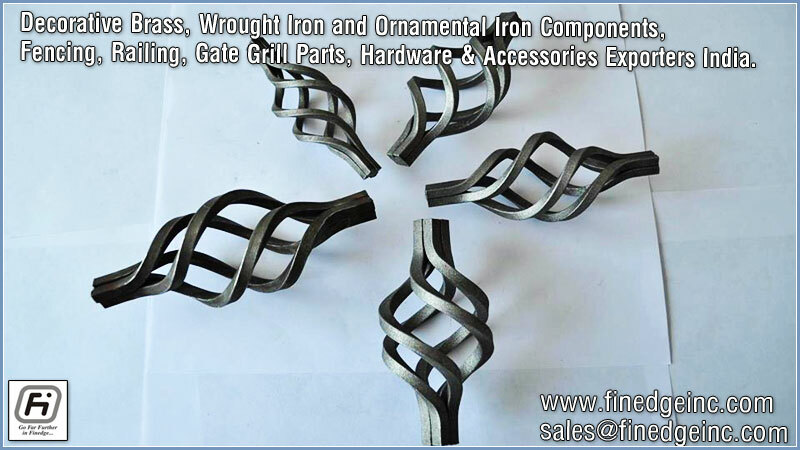 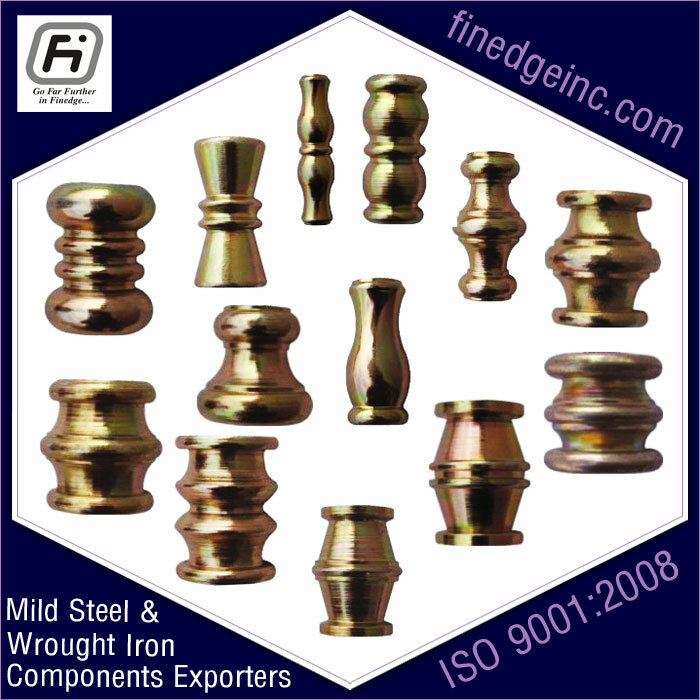 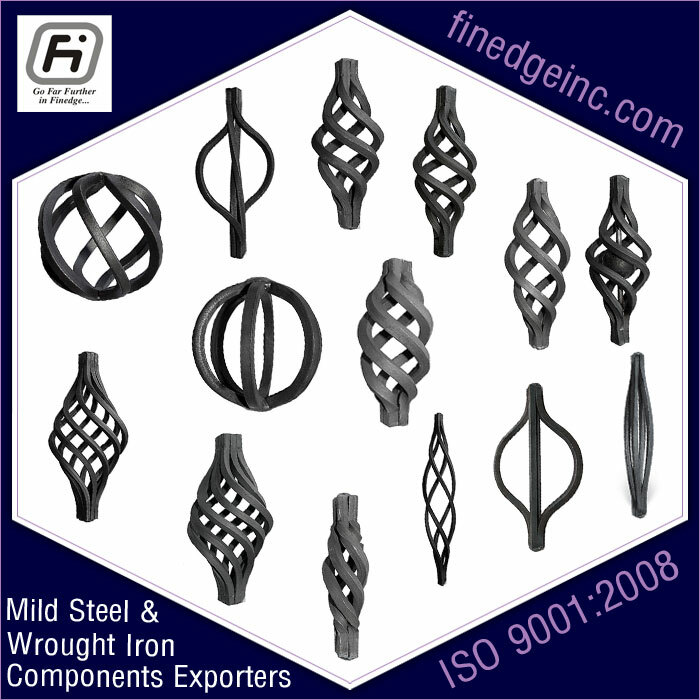 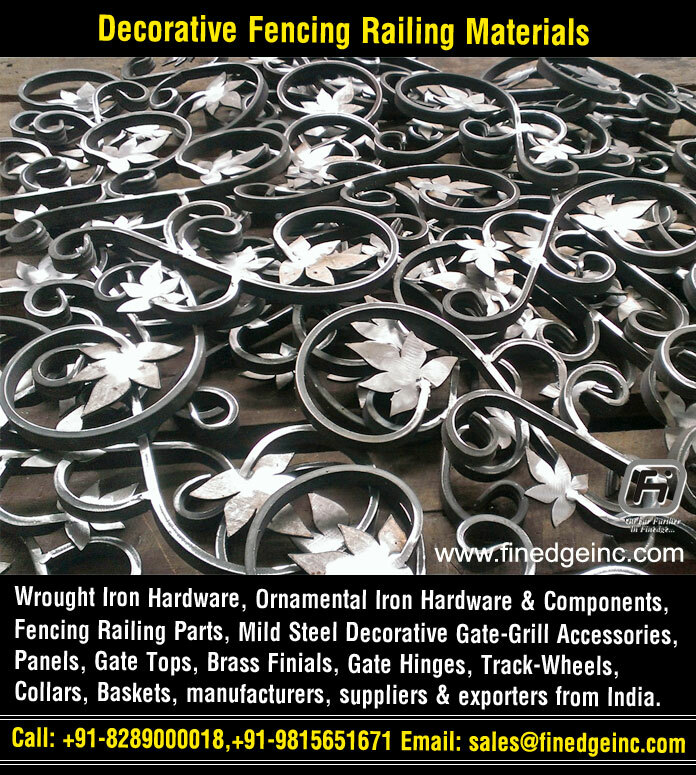 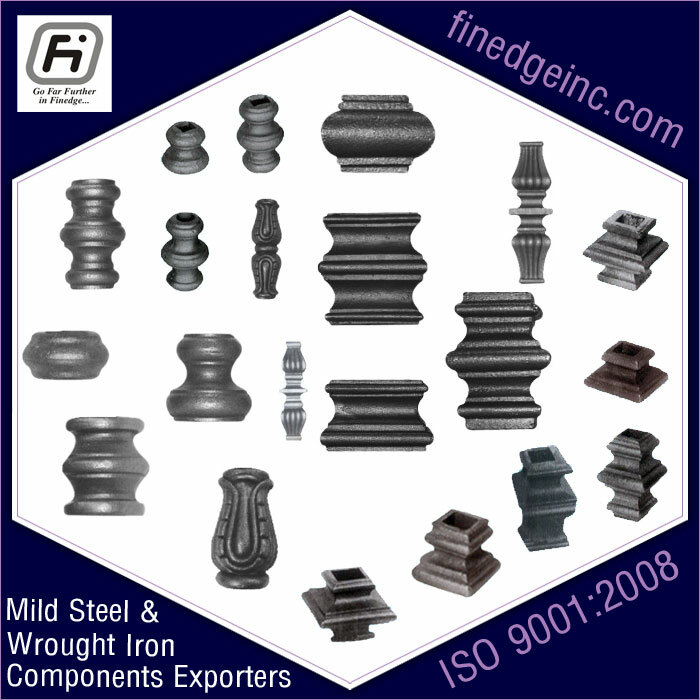 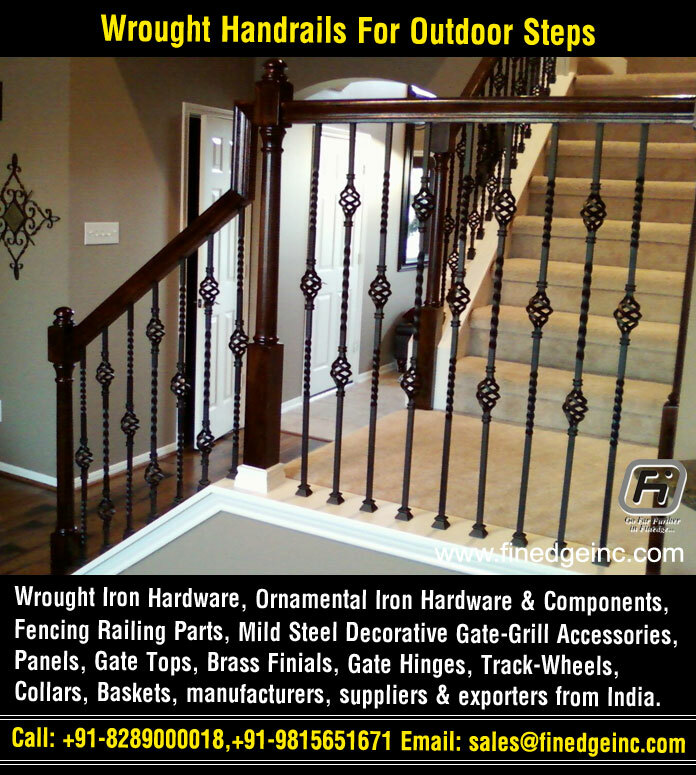 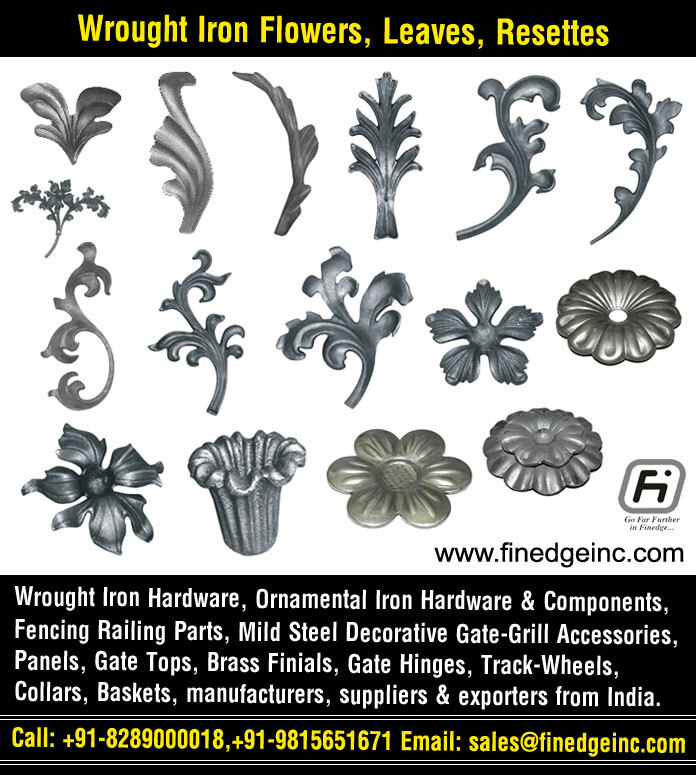 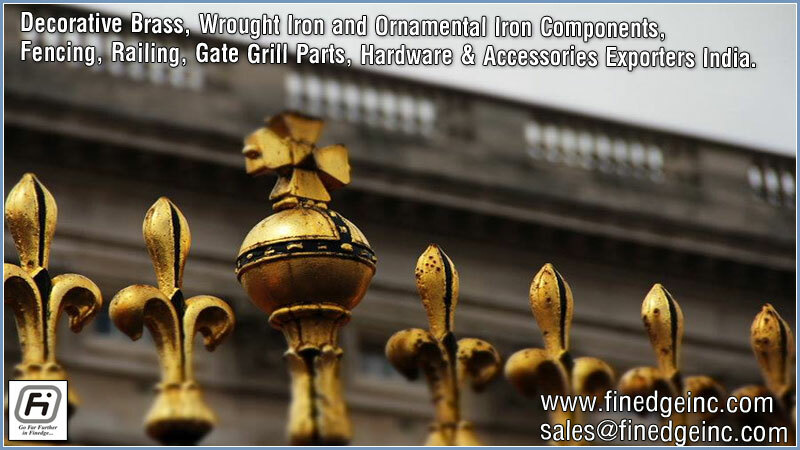 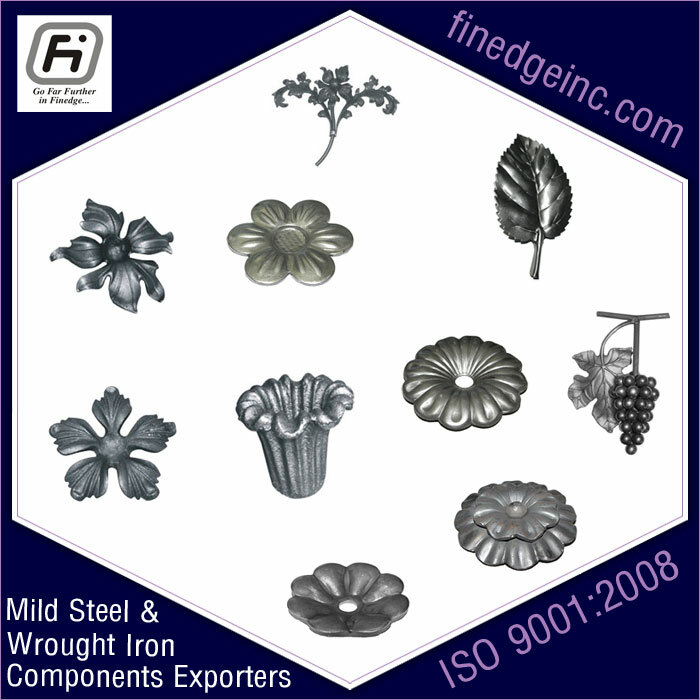 Finedge inc., the leading company, manufacturers distributors and exporters in India for the export of products like Decorative wrought iron and ornamental iron components, fencing, railing, gate grill parts, hardware & accessories etc. 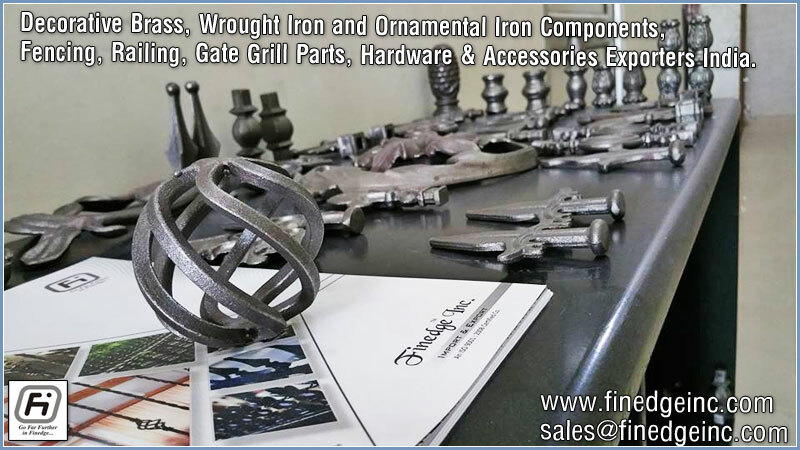 Our company is managed by skilled labour and dedicated professionals having rich industrial manufacturing experience with a passion for innovation and excellence in the trade. 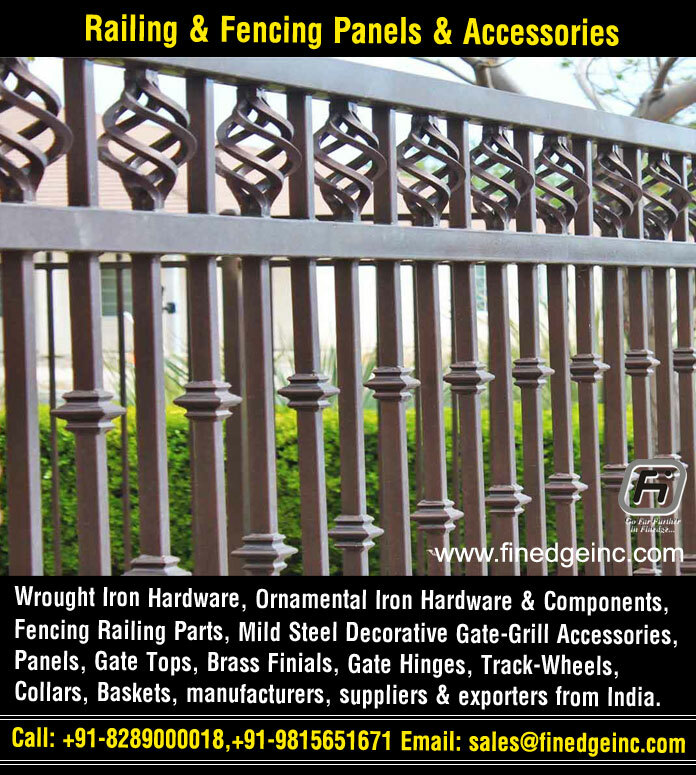 We are known for producing only the best quality and highly reliable products like decorative wrought iron and ornamental iron components, fencing and railing parts, gate grill parts, clip on unit, decorative flat bars, decorative panels, decorative rings, gate grill panels, mild steel panels, mild steel turned collars, rail heads gate tops, railing fencing panels, round collars & square collars, wrought iron baskets, wrought iron flowers, wrought iron leaves, wrought iron panels, wrought iron pickets, wrought iron rosettes, wrought iron hardware and accessories, wrought iron components, wrought iron hardware for gates, wrought iron fence gate hardware panels, wrought iron gates accessories parts, wrought iron products and accessories, ornamental iron gates hardware accessories parts, ornamental iron fence hardware materials, wrought iron fencing hardware, decorative metal fencing panels and accessories, decorative metal fence posts, railing hardware components, wrought iron railings and hardware parts, wrought iron railing for stairs, gate grill hardware parts, decorative wrought iron railing, brass finials, decorative gate hinges, gate wheel pulley, steel decorative balls etc. 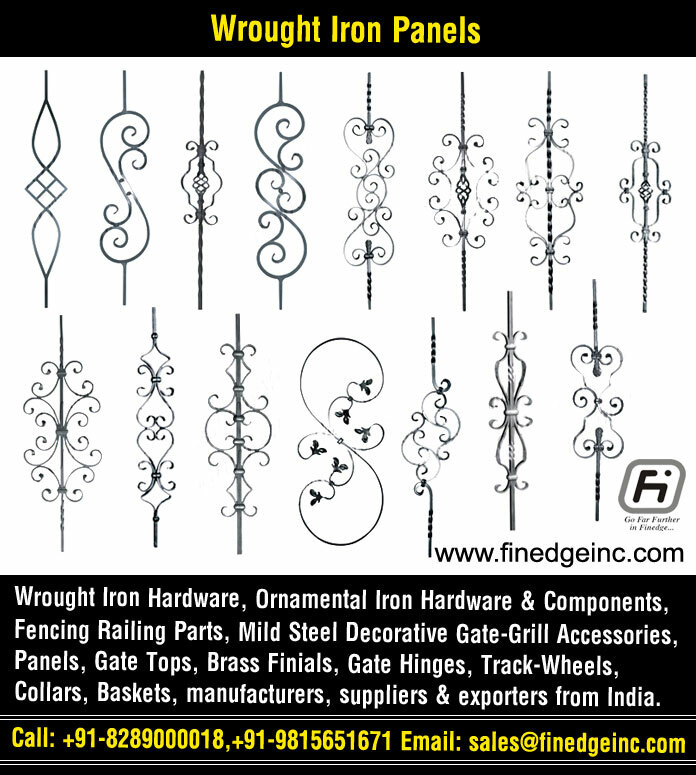 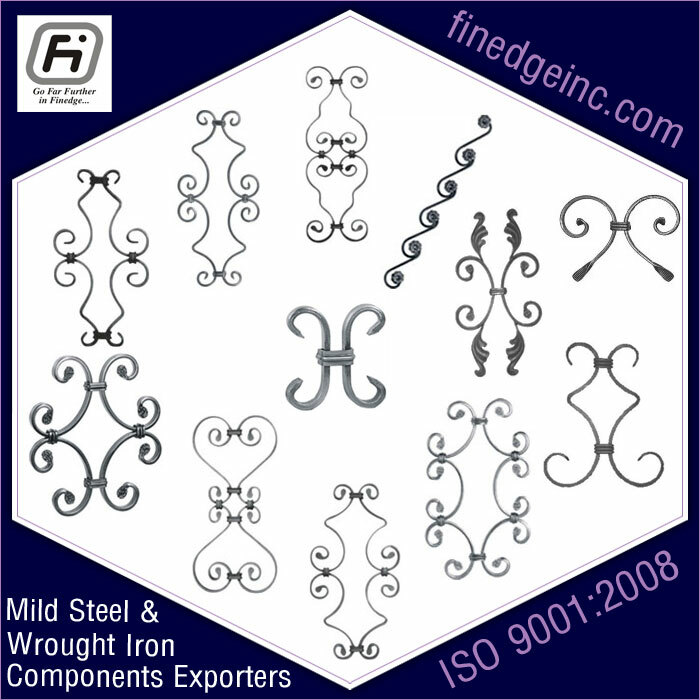 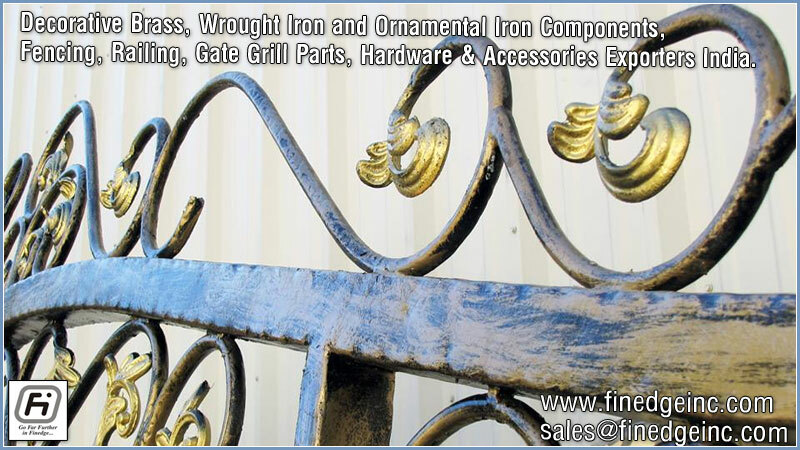 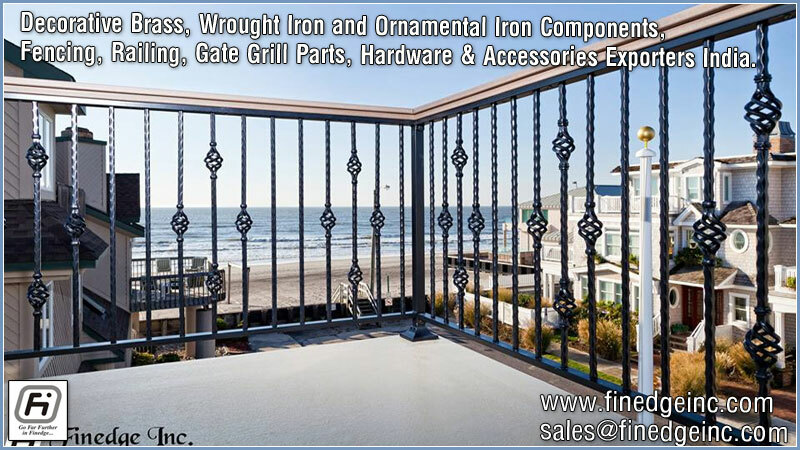 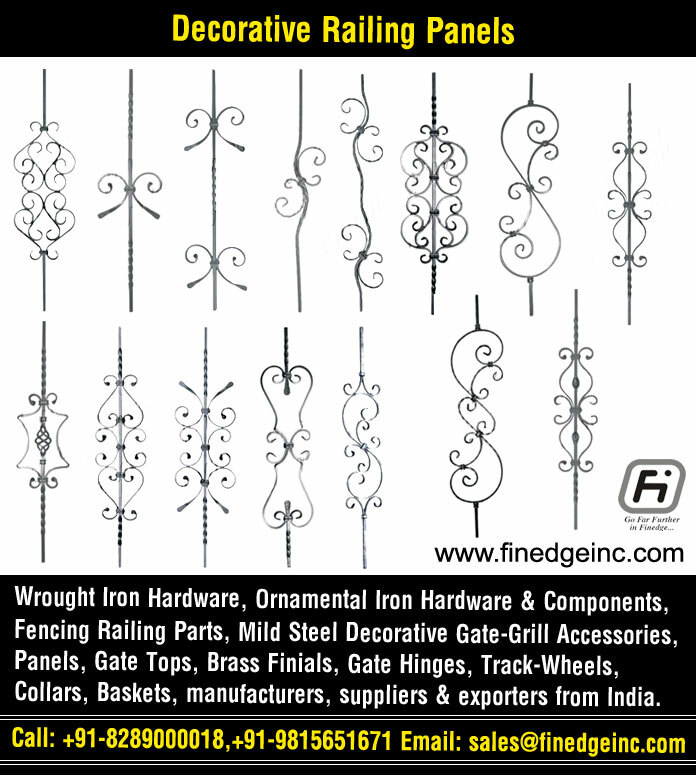 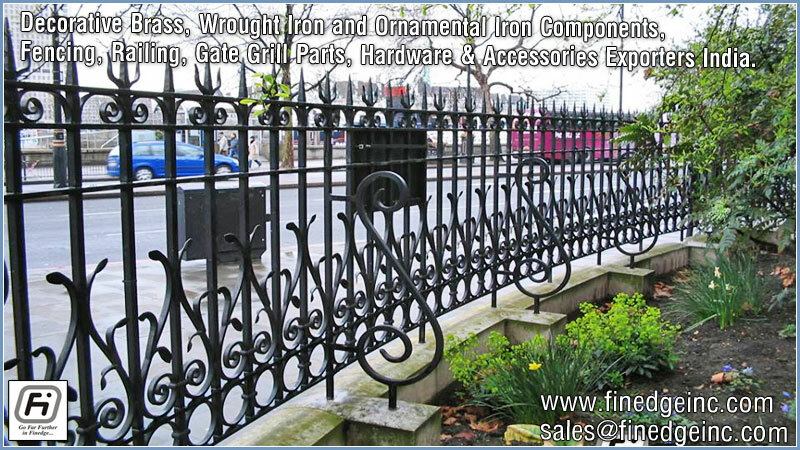 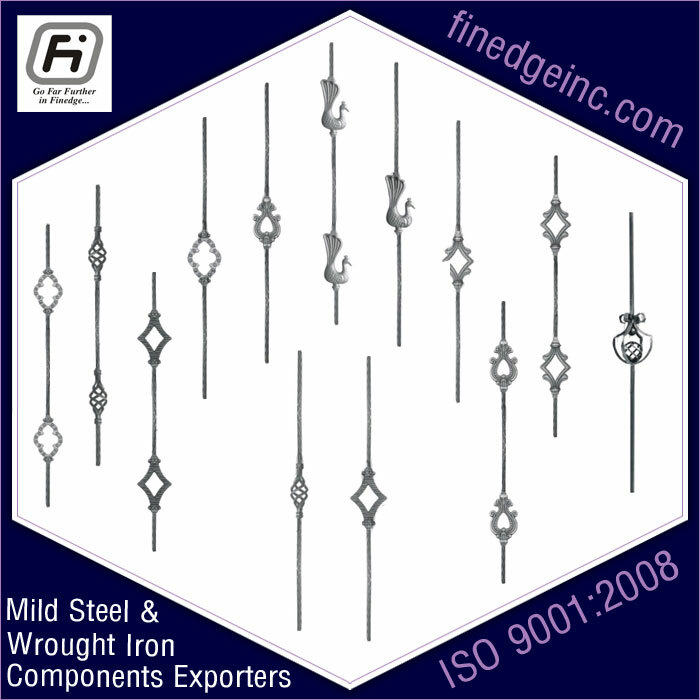 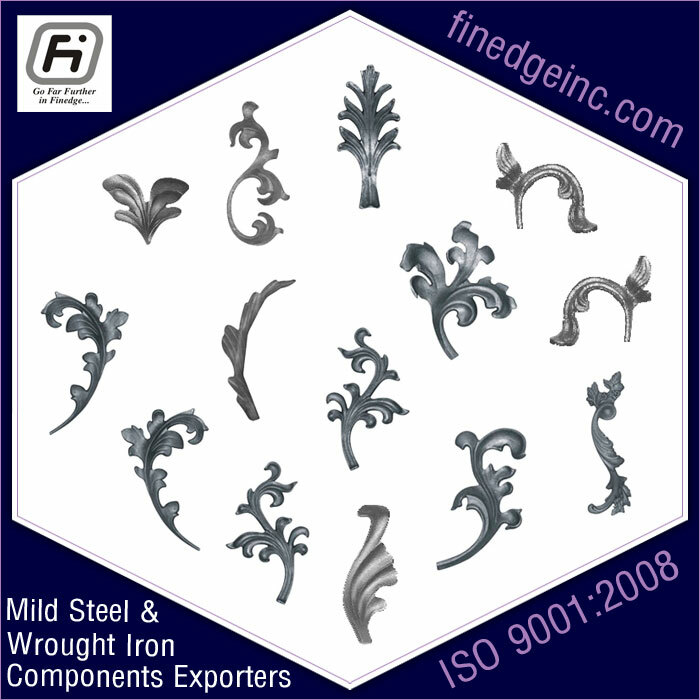 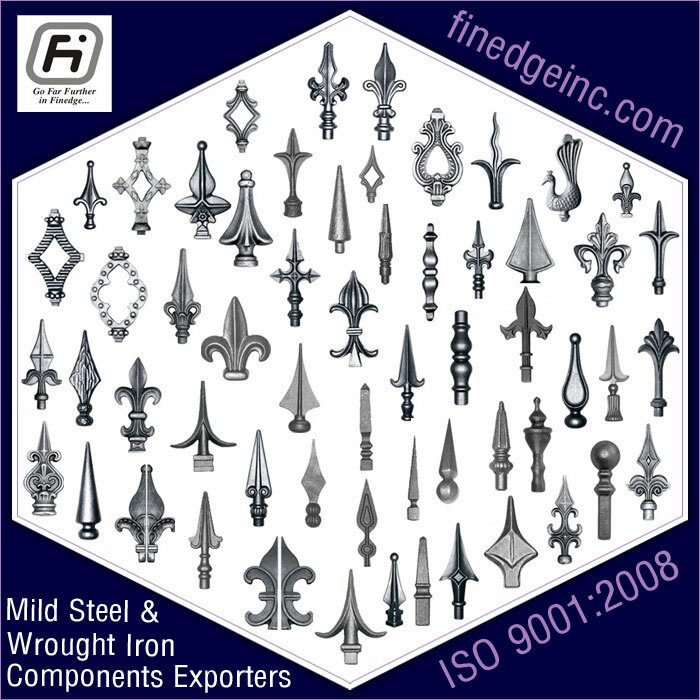 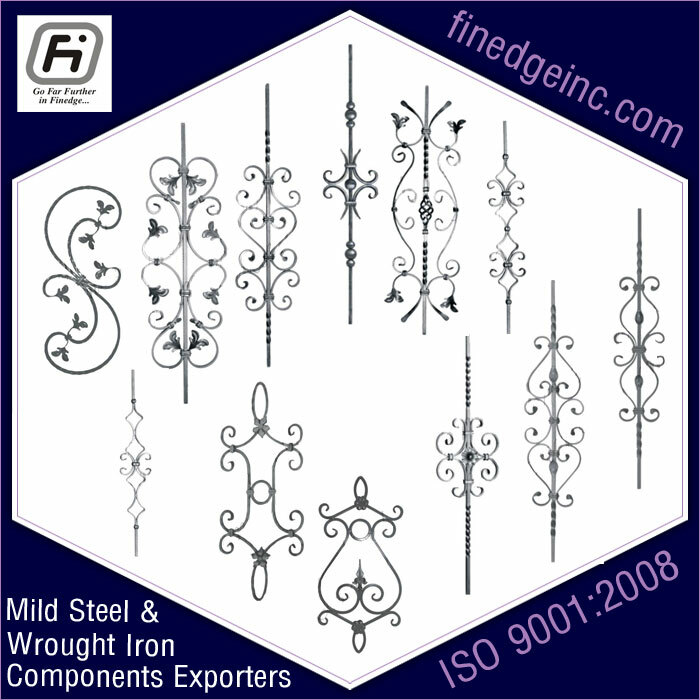 Finedge Inc. are exporting decorative wrought iron products and ornamental iron hardware to countries to UK, USA, Canada, Ireland, Russia, Mexico, Australia, New Zealand, Austria, Belgium, Denmark, Finland, France, Germany, Greece, Hungary, Iceland, Italy, Lithuania, Luxembourg, Netherland, Norway, Poland, Portugal, Slovakia, Spain, Sweden, Switzerland, Algeria, Bahrain, Egypt, Iraq, Jordan, Kuwait, Lebanon, Libya, auritania, Morocco, Oman, Palestine, Qatar, Saudi Arabia, Sudan, Syria, Tunisia, United Arab Emirates (UAE), Yemen etc. 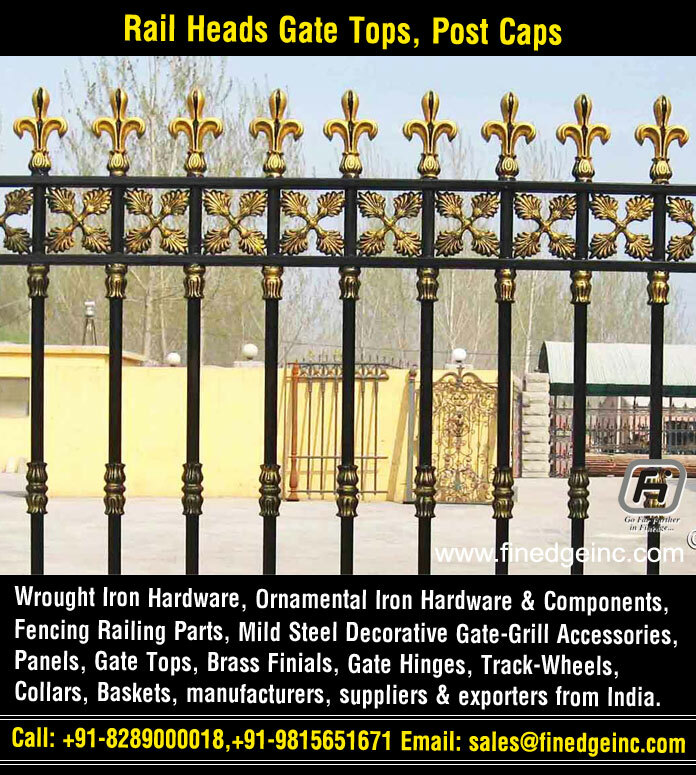 R-100 First floor, Phase V Focal Point, Ludhiana, Punjab, INDIA. 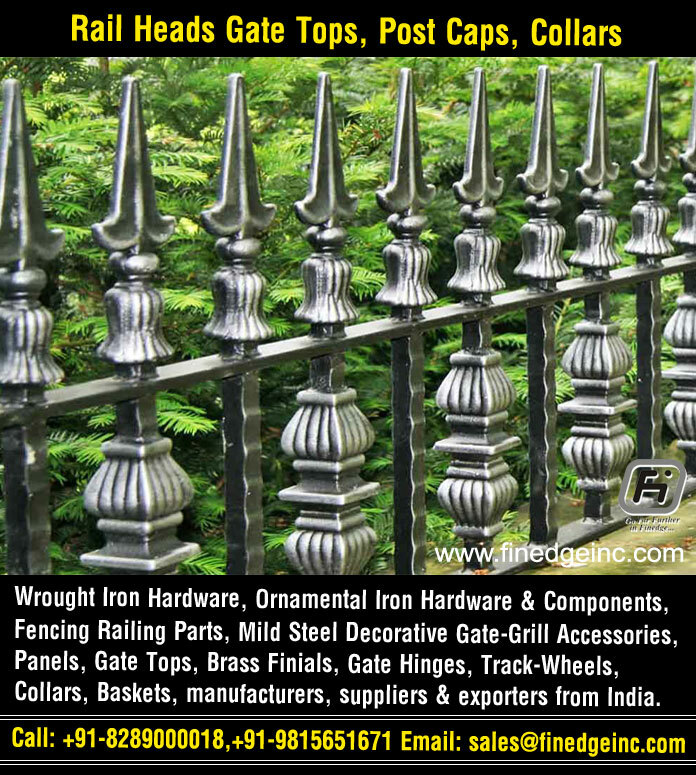 We manufacturers, exporters and suppliers of Decorative wrought iron and ornamental iron components, fencing, railing, gate grill parts, hardware & accessories to Asian Countries:- India, Indonesia, Pakistan, Bangladesh, Japan, Philippines, Vietnam, Iran, Turkey, Thailand, Myanmar, South Korea, Iraq, Malaysia, Uzbekistan, Saudi Arabia, Nepal, Afghanistan, North Korea, Yemen, Taiwan, Syria, Sri Lanka, Cambodia, Azerbaijan, United Arab Emirates, Israel, Tajikistan, Hong Kong, Laos, Jordan, Singapore, Georgia, Lebanon, Oman, Kuwait, Armenia, Mongolia, Qatar, Bahrain, Cyprus, Bhutan, Brunei, Maldives. 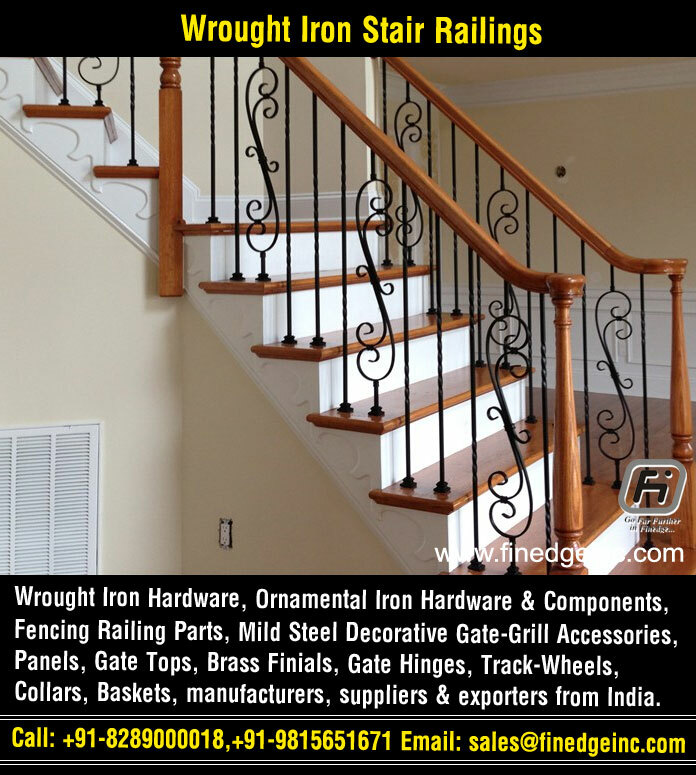 Home Who we are? 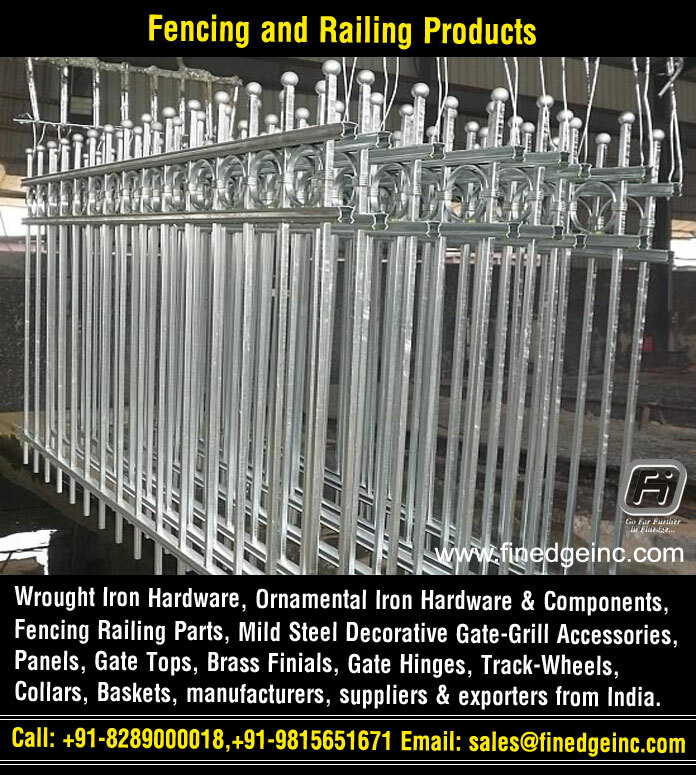 Products Range Quality Policy Manufacturing Facilities Export Market Enquiry Form Contact Info.